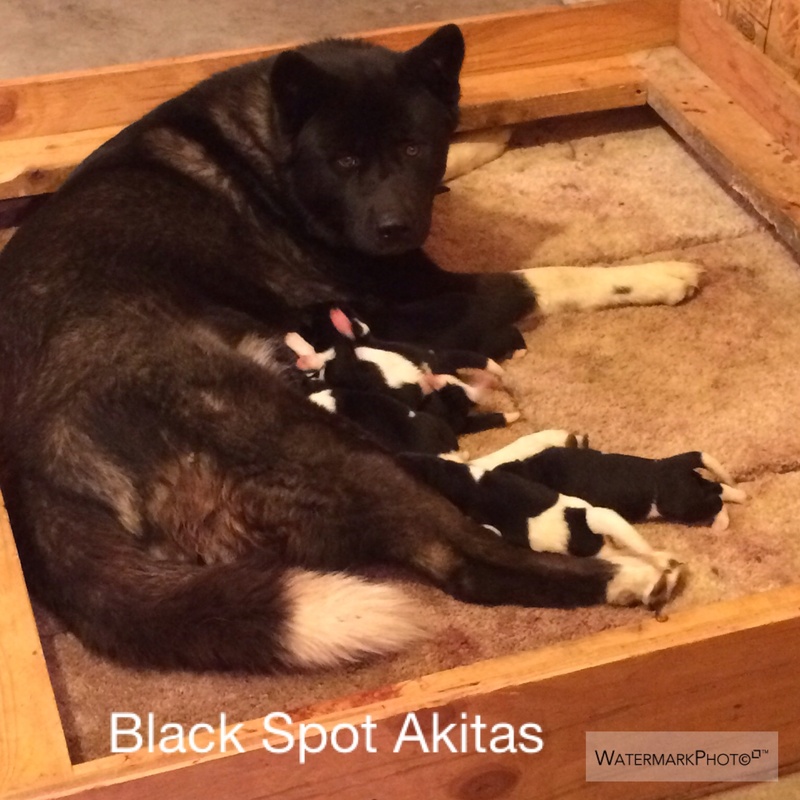 Black Spot's High Mountain Aspen is the matriarch of our family here at Black Spot Akitas. Aspen and our male, Bo, have had some puppies in the past and they were fantastic! 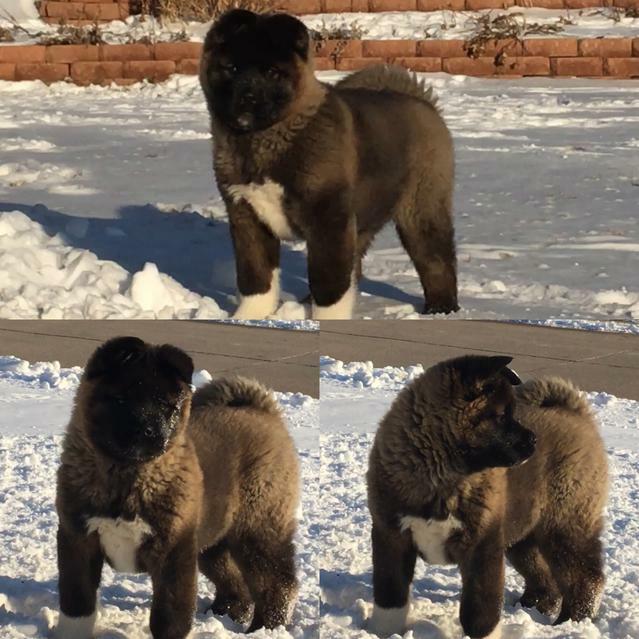 Aspen has also had puppies out of our male, Drago, and we are starting to receive wonderful feedback on those puppies as well. 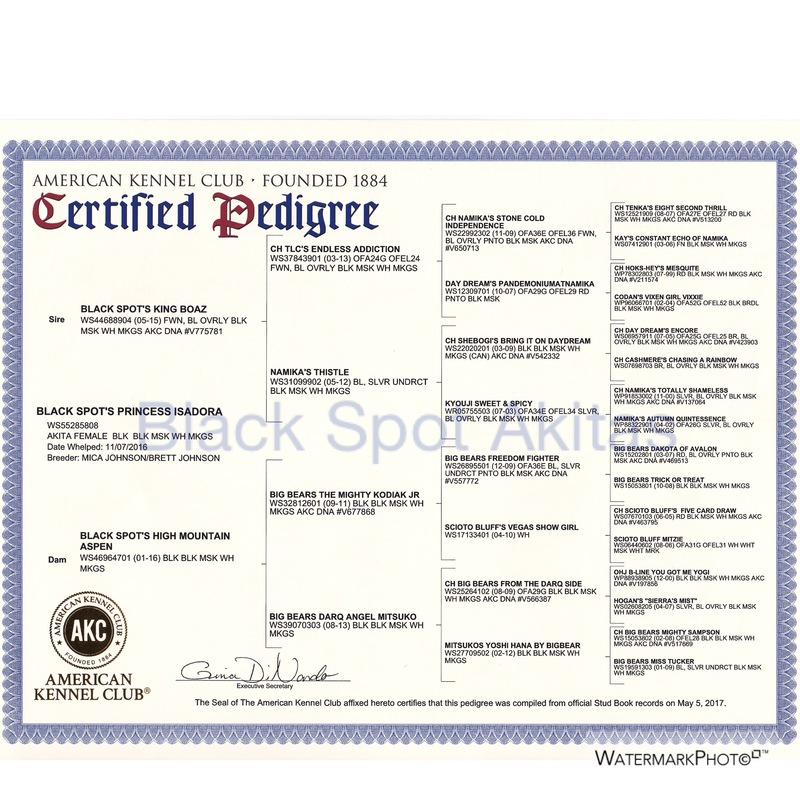 Aspen is a BIG GIRL! She weighed 95lbs. at 7 1/2 months of age! She is at 116 lbs. now! Aspen is broad and thick and very playful. She is eager to please and quick to learn and very non-aggressive. 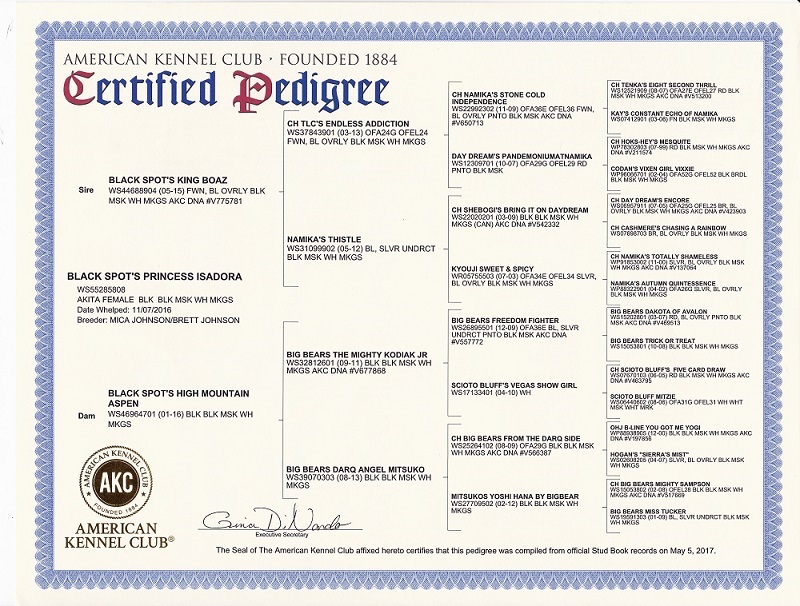 Aspen comes from Big Bear's The Mighty Kodiak Jr., and goes back to CH Big Bear's From the Darq Side on her mother's side. She is the biggest female we have ever had! 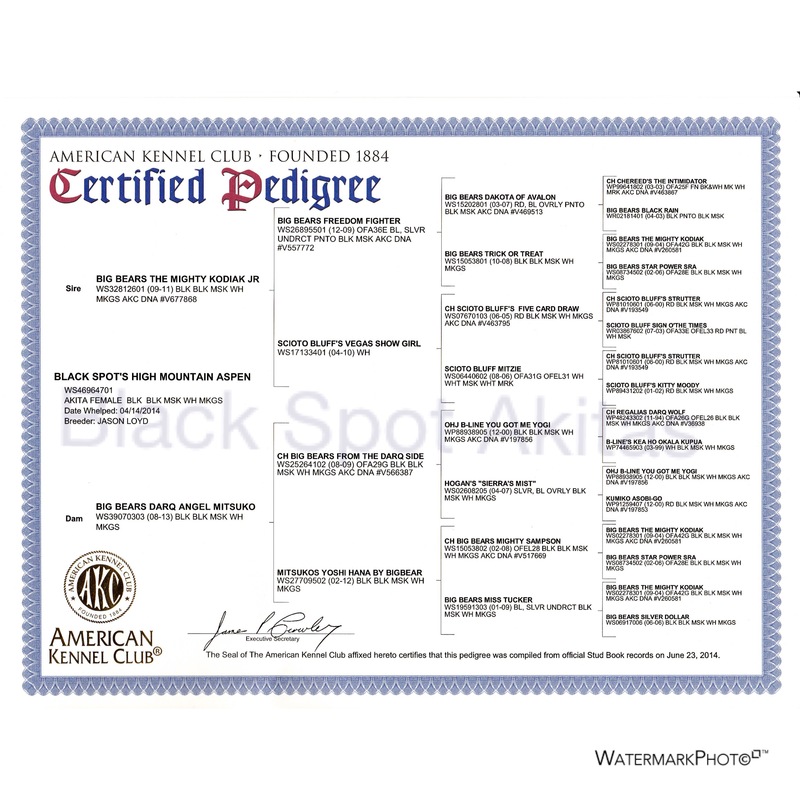 If you are interested in one of her puppies from her next litter, feel free to contact us by e-mail, text, or phone call. Izzy is a big, beautiful female that we have kept back out of our male, BLACK SPOT'S KING BOAZ and our female, BLACK SPOT'S HIGH MOUNTAIN ASPEN. She has the most lovable disposition and great bone! Her mother weighs in at over 116 lbs, and we expect Izzy to have similar proportions, with nice length and thickness. We have already had one litter out of Izzy and Drago and they were fantastic! We now once again are planning on a litter of puppies out of Drago and Izzy the middle of May 2019!! 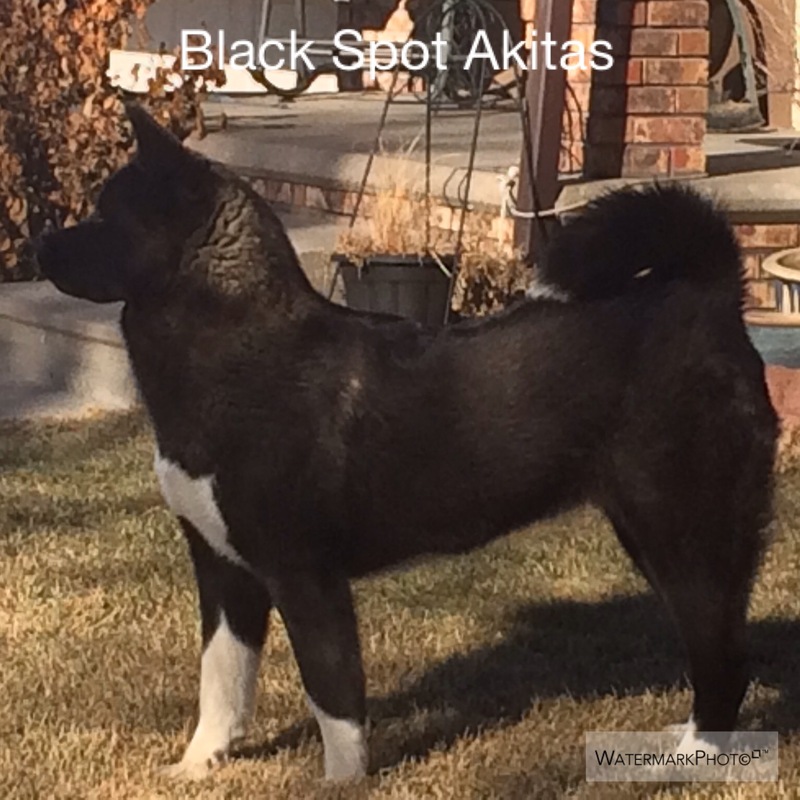 Newest Addition to Black Spot Akitas!! !